James Kenneth Bateman- Age 78, Kingston Springs, April 13, 2019. Preceded in death by his parents, Homer Bateman and Ruby Smith Bateman; brother, Leonard Bateman; sister, Ruby Jo Bateman. He is survived by his wife, Judy Bateman; children, Gray Bateman (Rhonda) and Shannon Schliwa (David); grandchildren, Rachel Bateman, Graham Bateman, Rhian Schliwa and Drake Schliwa; sisters, Brenda Hargrove, Betty Bruce (Jimmy), brother, Troy Bateman (Freda). He gave the best hugs and kisses and was a devoted Christian, husband, father and grandfather. He loved to play golf and horseshoes. He enjoyed fixing things and John Wayne. 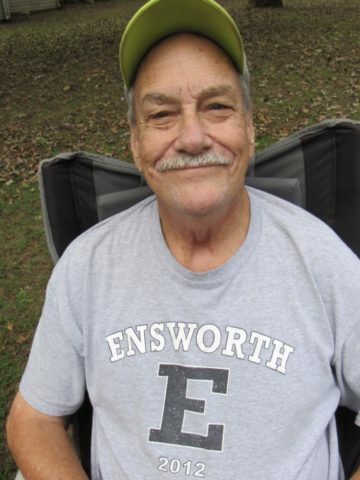 Visitation will be from 4-8 p.m. on Tuesday, April 16, 2019 and 12:30-1:30 p.m. on Wednesday at Harpeth Hills Funeral Home. A Celebration of Life Service will be at 1:30 p.m. on Wednesday at Harpeth Hills Funeral Home. Interment to follow at Kingston Springs Cemetery. Is him, prayers for your family!! So sorry t hear about Kenneth’s passing. God is and will always continue to be your peace comfort. It is a beautiful thing to see my Uncle Kenneth in this video. He truly knew how to love. I will miss him, as will everyone. So thankful to have had an uncle like him. I am sad for you, Shannon, Gray and all of his beautiful grandchildren but am happy that he will live on in them. I am praying for you all. The kids at school really liked him. My favorite memory is when he would say to the occasional child, “someday your gonna be famous”. Needless to say, it made the child’s day.